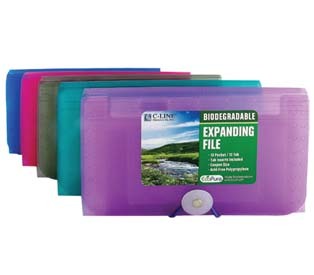 Coupon Size Expanding Files are made from acid-free polypropylene. * Learn about ASTM testing and the time and conditions it takes for these products to biodegrade. Because of the wide variation in landfill systems, actual timing may vary. Incidental parts (elastic string and button closure) are not expected to biodegrade.